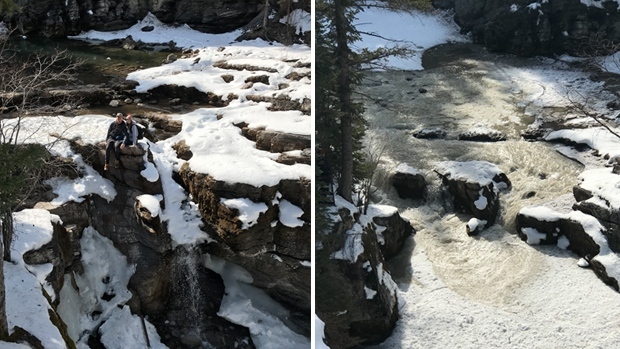 Parks Canada is encouraging hikers to avoid the lower trails of Maligne Canyon in Jasper National Park until further notice after unpredictable water flows caused flooding over the weekend. According to officials, rapidly changing weather conditions caused water to flood into the lower trails on Sunday afternoon. Chris Carrier was in the canyon on Sunday afternoon. He shot a video of the water flowing onto the trail. Park staff believes it is likely that there could be more flash flooding along with falling ice and rock over the next few days. The gates to the canyon have been closed, and warning signs are in place.